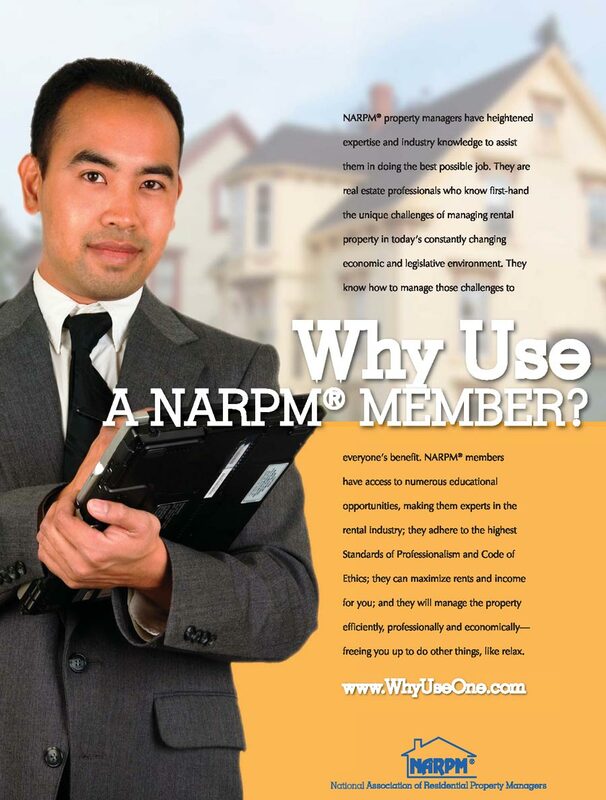 NARPM property managers have heightened expertise and industry knowledge to assist them in doing the best possible job. They are real estate professionals who know first-hand the unique challenged of managing rental property in today's constantly changing economic and legislative environment. They know how to manage those challenges to everyone's benefit. and will manage the property efficiently, professionally and economically - freeing you up to do other things, like relax.